Setup CodeFlow to track every code change in your source control. It will take you only a few seconds. Automatically identify new static analysis issues, code duplications and cyclomatic complexity evolution in every commit. Track your code quality over time. Our report gives you needed answers. We already found 32 299 514 issues in the code. 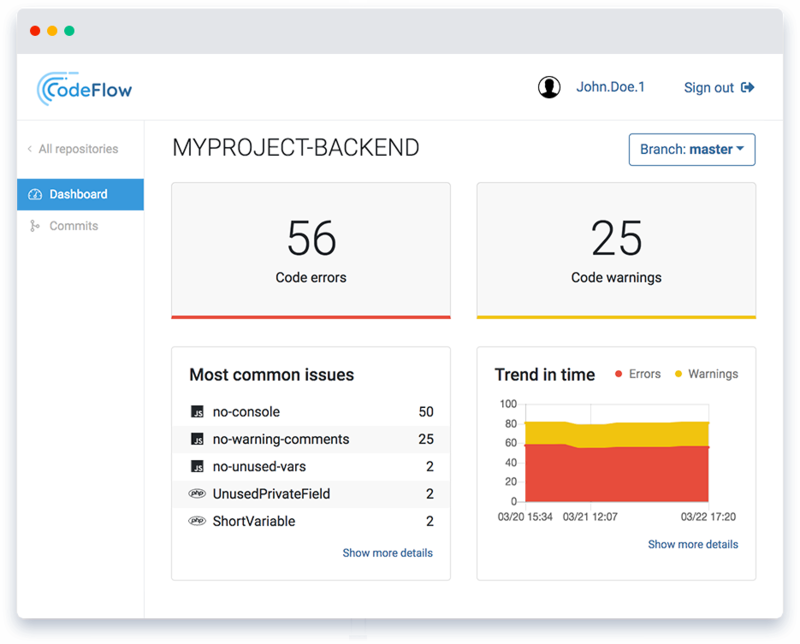 Join developers who trust CodeFlow to improve the quality of their code. Join the following awesome companies to spread our good cause. The project is supported by "Chytrá Myšlenka MSK" program, implemented by the Hub for Change and financially supported by the Moravian-Silesian Region.